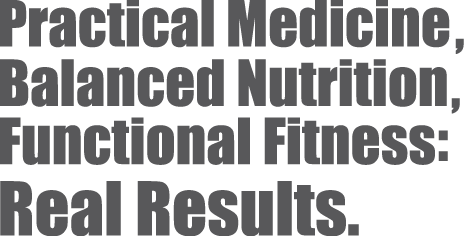 Effective January 1, 2019 WellFit Medicine and Nutrition Memphis will operate as a membership medical practice (WellFit Jackson will continue to operate as currently established). Member enrollment will begin July 1, 2018, and membership will be limited to the first 500 patients who enroll. An annually-renewable, 12 month contract is required for all patients 18 years of age and older, and will be mandatory for all visits beginning January 1, 2019. Parents can schedule visits for children under the age of 18 separately without enrolling them in a membership. Once they turn 18 they can be enrolled, and will be guaranteed a spot. Membership Plans differ in price based on the level of lab testing included. Management and coordination of wellness, preventive, hormone, and chronic health and nutrition needs. All membership options include follow-up every six months in order to ensure timely follow-up, adequate medication refills, and compliance for controlled substances such as testosterone. Limited practice size enables individualized care, improved response time, and more appointment availability. Efficient micropractice model of direct care and communication with providers. Convenient 24/7 scheduling for office, phone, and video appointments, as well as lab appointments through Flexbooker. Ongoing access to Living Matrix health history and Functional Medicine software. Convenient, monthly payments managed by Hint offer a budget-friendly way to plan for your chronic health and wellness needs. 2 Medical Visits per year (one every 6 months). The annual medical visit can be an in-person office visit if desired (40 min), the remaining follow-up visit can be either phone or video (30 min). Annual Nutrition Visit (40min). Office, phone, and video options are available. Annual Hello Health Portal Membership: 24/7 access to care plans and lab reports, secure messaging, Portal Connect app, refill requests, ePrescribe, and eFax. Add-on lab or functional testing not listed in the membership plans. Additional medical and nutrition follow-up visits (these are available separately when needed). Sick or acute care visits outside of the annual or 6 month follow-up visits. Office procedures, IV infusions, injections, or medications.